Darren Emerson’s 360° documentary Witness 360: 7/7 has been shown at festivals internationally, most recently at the MIT Virtually There conference. It is perhaps one of the more ambitious projects i’ve seen in the format, with a running time of almost 15 minutes and a strong narrative led by a survivor of the 7/7 bombings. I caught up with Darren both before and after the i-Docs 2016 conference to find out more about his work and his thoughts on the VR documentary space. Jess Linington: Could you describe yourselves and your work? Darren Emerson: I would describe East City Films, and the soon to be launched VR City as collective of TV and Film professionals who are searching for more significance to their work. We come from a background rooted in our early careers: that of MTV Award Shows, multi camera concerts, music videos and youth orientated documentary and entertainment. In 2016 though we are a company in flux; evolving and growing; in no small part because of our decision to embrace VR and 360 filmmaking in late 2014. As a director and producer of immersive documentary my goal is to fuse technology and storytelling to create emotionally transformative experiences. Witness 360: 7/7 is a film that was an experiment, a dipped toe in the water; and the response to it has been wholly positive. I feel it sets a template for the types of immersive film we want to make and an aesthetic that we want to develop. JL: Why have you chosen to make work in the interactive field? What are the positives and negatives? DE: My first experiences with VR filmmaking really was a watershed moment for me. The feeling of putting on the headset and being transported so intimately into another space, another reality, was profoundly exciting. I knew straight away that I wanted to make a film and present it in this format. I saw VR film making as an opportunity to venture into the unknown, and in many ways that is still the case now. One of the major positives for me is that it is a language that is still being formed. Although it is still primitive and can be frustrating, those negatives are conversely also its overarching appeal. There is a freedom of experimentation, an embracing of potential failure, and the thrill of small successes that I feel people working in this medium experience everyday. That is something that I love. 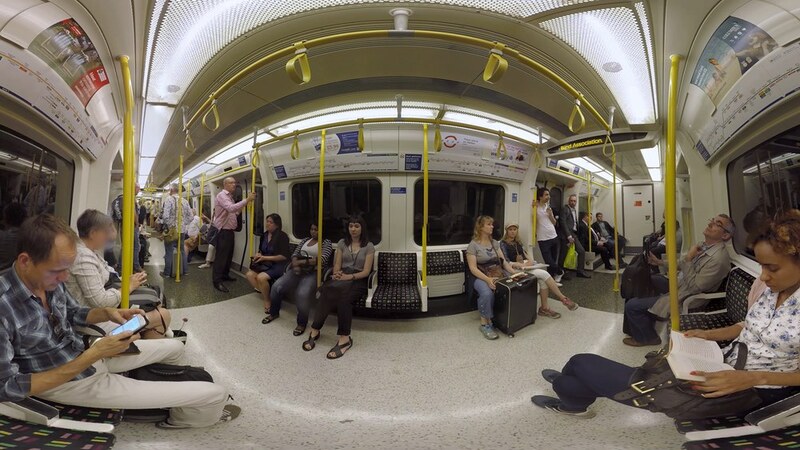 With Witness 360: 7/7 I felt that VR could offer a new narrative on a global event like the London 7/7 bombings. The focus being purely on one woman’s emotional journey through events she could not control. Unlike the wall of noise that comes from 24 hour news coverage, and commentary via Twitter and Facebook in the aftermath of a tragic event, the VR headset delivers an experience that allows the viewer space to get closer emotionally to the subject matter and create a deeper level of understanding. JL: On a practical note, how is your work funded and distributed? Is it something you find easy to do? DE: I found that many of the funding bodies that I have spoken to about VR are genuinely interested in the space, but have as yet not set themselves up to have VR focussed funds available. 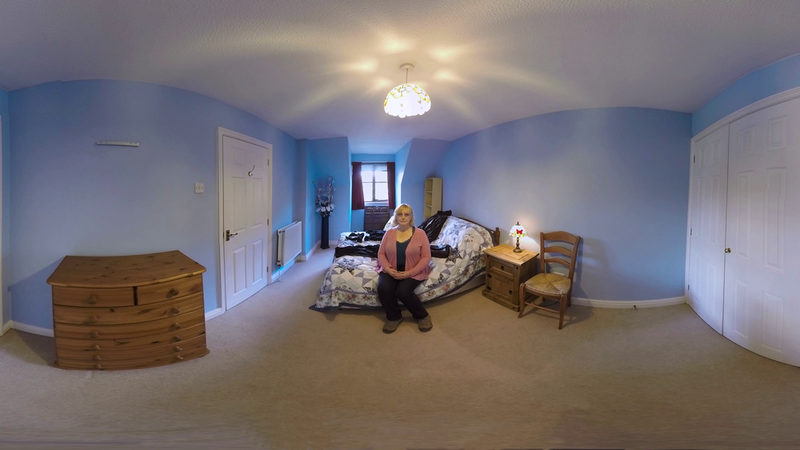 I was however lucky enough to win the inaugural VR commission from Sheffield Doc/Fest, and will the resulting film will premiere at their 2016 festival in June. Apart from that much of our own work is being funded internally, from the profits of our more commercial endeavours. This is of course not a long term strategy! JL: Looking to the future, what developments in the world of i-docs excites you? Is there something you hope you experiment with or new technology you want to use? DE: In terms of experimentation I want to keep developing the language of documentary in VR. Embracing spatial sound within documentary and also trying to crack 360 camera movement so it doesn’t make people (including myself) feel like hugging the nearest toilet. I am also very interested in the developments of light field cameras, and what that could mean for cinematic VR in particular. In June my latest documentary “Invisible” will premiere at Sheffield Doc Fest. It is a film about the personal trauma inflicted on individuals by the UK Home Office’s detention estate. In particular it focusses on indefinite detention and the unnecessary lasting damage it does to asylum seekers and immigrants seeking a better life in the UK. JL: For folks who missed you at i-Docs 2016 – can you give us some talking points or personal takeaways from the event? DE: I was lucky enough to be part of a fantastic i-Docs panel, that featured Fran Panetta, Zillah Watson and Catherine Allen and present Witness 360: 7/7 to the audience there. What I wanted people to take away from my talk most of all was the idea that VR filmmaking is really about experience design; and within that experience the medium itself has the ability to reveal hidden truths within the work. There are, I believe, layers of truth that can be found with in the experience of both watching and creating VR content, and that exchange of ideas from the creator directly to the user/viewer is an important relationship. I think, in particular for documentary, that the VR experience can enhance the sense that the viewer is getting closer to a “real” truth – even if it is really a trick of the brain. There is the narrative truth of the story you present, in the case of Witness 360: 7/7 it is Jacqui’s story told in her own words; the physical truth of feeling like you are standing and looking around a real environment which is ultimately very powerful; but there is also the emotional truth of the exchange between the viewer and the film, which is enhanced by the physical and sensory isolation that is required to watch the work. Immersion – courtesy of headsets and headphones – creates a vulnerability from which the viewer has to take a leap into the unknown; disembodied we bring something deeper of ourselves to the experience, and I believe that is an important factor in early VR, and throws up creative and ethical challenges for VR filmmakers to consider as they go out and experiment further. If you’re at Sheffield Doc/Fest next month, make sure you check out Darren’s latest VR film ‘Invisible‘, which won the festival’s VR commission and is being premiered as part of the Alternate Realities: VR arcade.